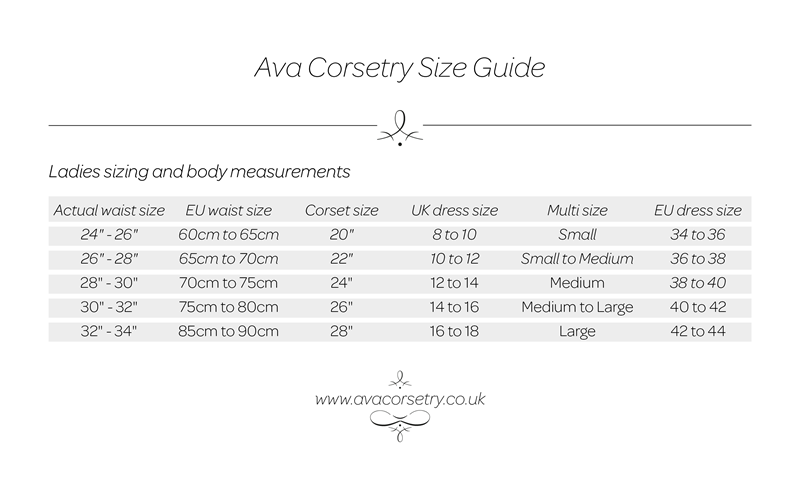 You love one of our standard styles but have your heart set on a different colour - don't worry, we are happy make a one off especially for you, in the colour you love* - please email lyzzy@avacorsetry.co.uk to first to show us your colour choice and discuss your requirements in detail. * - Subject to availability in our fabric qualities. NB: mesh is only available in black and white - should you require a different colour email us and we will quote you on the cost of having it professionally dyed.